The family of slain Marine Lance Cpl. Maria Lauterbach is hailing recent provisions in the National Defense Authorization Act that profoundly change the way the Department of Defense will handle sexual assault charges. The Defense STRONG Act has cleared both the House and the Senate and is awaiting President Barack Obama’s signature. Provisions include access to legal counsel for victims and the right to request a base transfer. 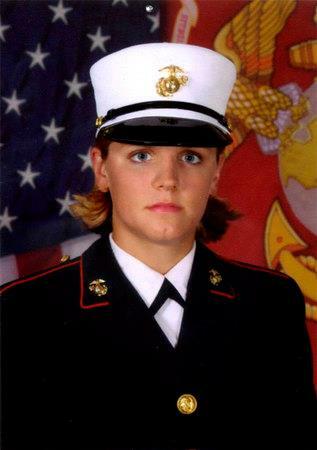 Lauterbach’s mother, Mary Lauterbach of Vandalia, said the new law would have made the difference in the case of her daughter, who was denied a base transfer after accusing fellow Marine Cesar Laurean of sexual assault. “Maria would be alive today if the base transfer had been available to her,” she said. Legal assistance for victims of sexual assault. Previously, only defendants in the military have been guaranteed access to a lawyer. Stricter training guidelines and greater oversight for Sexual Assault Response Coordinators and Sexual Assault Victim Advocates. Retention of sexual assault records with lifetime access for service members. The victim’s right to a base transfer or unit transfer. Under the new law, these requests will be expedited, with decisions being made within 72 hours and the bias should be in favor of the victim.